quality, soft to the touch, flame retardant, and made in the United States. All other items are available as shown on the cards. Since these are knitted laces, all piece goods widths can have as much as a 2"
apparel should base their markers on the lower number quoted on the widths shown. 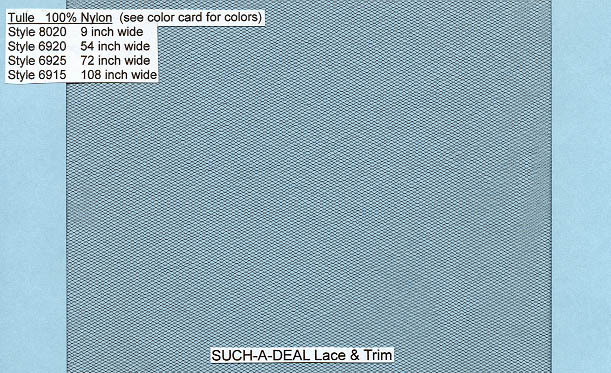 Prices for the laces on this page are listed below the cards shown.